The Multiplication Tables Check – what do you need to know? The introduction of the Year 4 Multiplication Tables Check (MTC) means schools and teachers are looking for new ways to develop speed and recall of multiplication facts up to 12 x 12. What is expected of pupils? The incoming MTC is set to be administered online in timed conditions where pupils are given 6 seconds to calculate and type an answer. The test time, which is under 4 minutes, includes a 3 second gap between questions. The national check has brought about a need for current Year 2 and Year 3 teachers to focus their input on multiplication and division facts in preparation for the first cohort of testing next summer (2020). 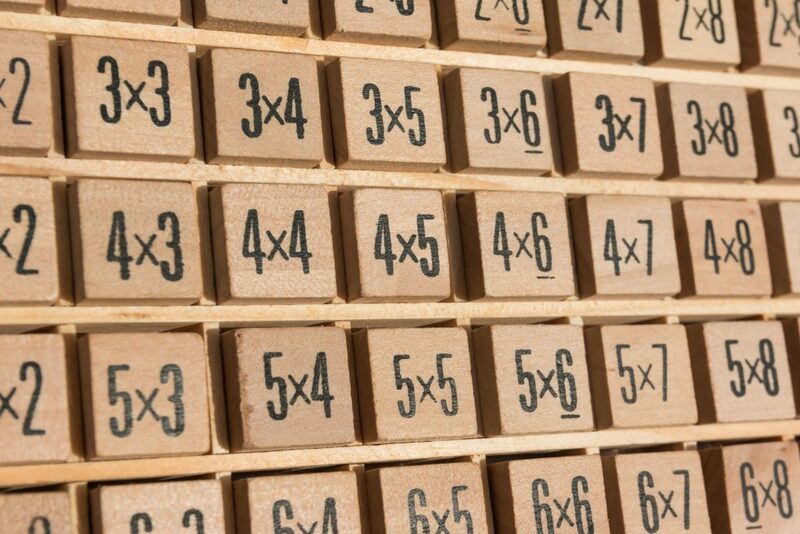 The National Curriculum expectations are that by the end of Year 4, all pupils should be able to recall all multiplication facts up to 12 x 12, yet many Year 5 and 6 pupils are still challenged by this objective. Multiplication tables are pivotal in all areas of the mathematics curriculum and support speed and efficiency in number and calculation. Oftentimes, pupils appear to have conceptual difficulty with formal written methods when in fact the problem lies with the multiplication and division facts. With increased speed and fluency pupils will be able to apply this knowledge to all other areas of the mathematics curriculum, resulting in more efficient calculations. The MTC will encourage teachers to focus more on the importance of the times tables in their classroom teaching. Many pupils are able to recall facts with ease (2 x 8 = 16), yet when faced with a missing number or variation problem such as: __ x 8 = 16 or 0.2 x 8 = 1.6 pupils are not always able to apply their table facts due to their lack of conceptual knowledge. Rather than learning by simple repetition and memorisation the current drive towards a mastery curriculum means more focus will be placed on pupils’ deep conceptual understanding of the multiplication and division facts. This involves understanding varying representations of multiplication facts, being able to represent and connect their structures and apply to a wide range of contexts. This blog has been written by Sam Townsend, author of Times Tables Tests Up To 12 x 12 and Weekly Reasoning Tests for Year 6 / 2nd Level for P7/S1. Are you preparing for the Multiplication Tables Check? Make Every Week Science Week!